The Japanese are known for their weird technologies and here’s one that’s as intriguing as it is weird. 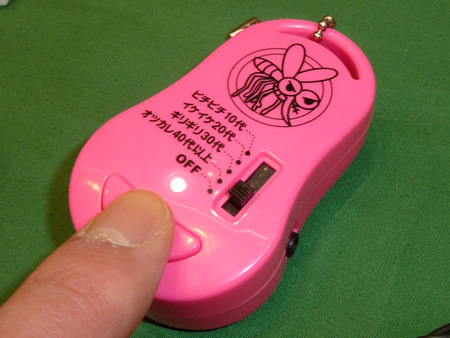 Roughly translated by Google, it’s called the – Age Prediction Machine Toshibareru Mosukitosaundo (Mosquito). 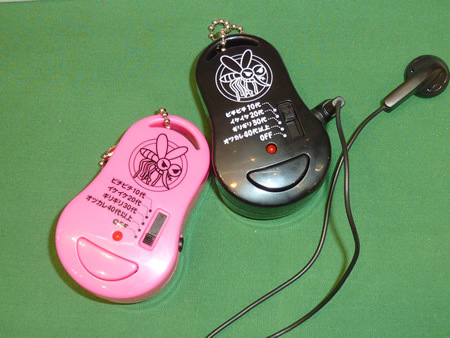 It’s designed to test how old someone is by emitting a high frequency sound, like the buzzing of a mosquito. Depending on the intensity of the emitted sound (for which various age settings on slider are apparently showcased) and the capability of the listener to be able o hear it, the age is calculated. Yes it’s crazy I know, but that’s what the translation pretty much spells out. To try and elaborate – the older you are the less you’ll be able to hear. It’s apparently been designed for blind dates so that you don’t end up going out with someone who’s either younger or older than they claim. Simply activate your Age Prediction Machine and set the age limit -Young to Tteenagers, Early 20’s, Barely 30’s, 40 years and Above and wait and watch to see your date swat imaginary insects. Depending on the settings you’ll be able to gauge their approximate age. The Mosukitosaundo or whatever it’s actually called is priced at 924 Yen which works out to about $10.